Please join us in welcoming back to Northshire Andre Dubus III presenting his first book in ten years Gone So Long. For as long as she can remember, Susan Dunn has been trying to escape. But peace and happiness have always eluded her--now an adjunct professor, she is tortured by the novel she cannot finish, and a lack of feeling toward a husband who loves her. Just when she's ready to abandon everything to try again, she receives a letter that forces her to reckon with the trauma that first sent her running: her mother's murder at the hands of her father, Daniel Ahearn, forty years ago. 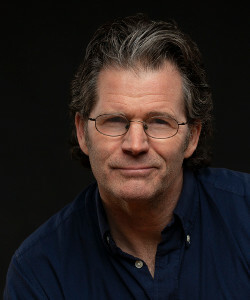 Andre Dubus III is the author of seven books: The Cage Keeper and Other Stories, Bluesman, and the New York Times bestsellers, House of Sand and Fog, The Garden of Last Days, Gone So Long and his memoir Townie, a #4 New York Times bestseller and a New York Times "Editors Choice". His work has been included in The Best American Essays of 1994 and The Best Spiritual Writing of 1999, and his novel, House of Sand and Fog was a finalist for the National Book Award, a #1 New York Times Bestseller, and was made into an Academy Award-nominated film starring Ben Kingsley and Jennifer Connelly. Dirty Love was published in the fall of 2013 and has been listed as a New York Times “Notable Book”, a New York Times Editors’Choice”, a 2013 “Notable Fiction” choice from The Washington Post, and a Kirkus “Starred Best Book of 2013”.